Has anyone got their crystal ar redone on a noob pam 111? I received my 111 (broken!) and wow what a dissapointing crystal. Wanted to know if getting an ar treatment would help, or if the crystal quality is just bad. If so I'll probably just refund the watch. 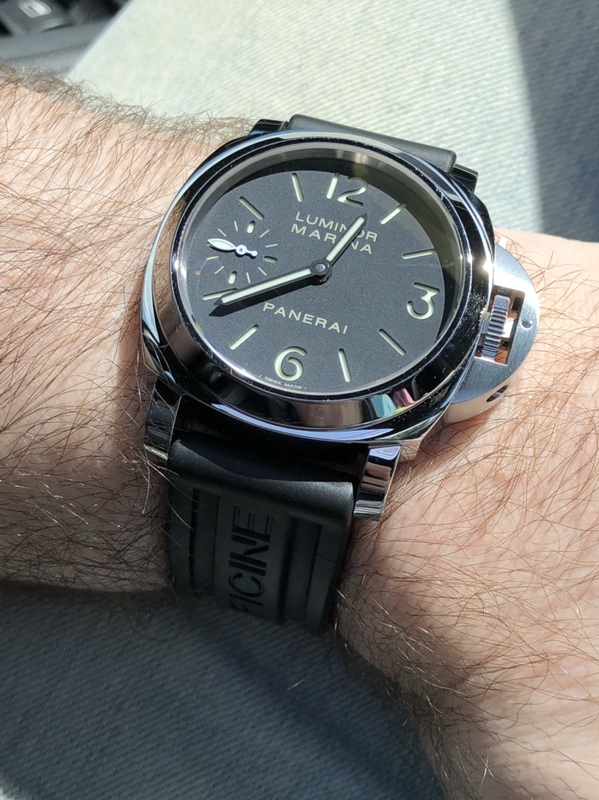 Nothing screams cheap watch like a watch where you cant even see the dial from a distance, just nasty reflections. Gen 111 only has single AR like the rep, it too has reflections. That doesnt answer any of my questions. And I doubt gen looks this bad. The only way to see the dial crisp and clearly is at a very specific angle from 1 foot away as my rep sits, and that is pathetic. I have a gf superocean heritage 2 that annihilates it in clarity. 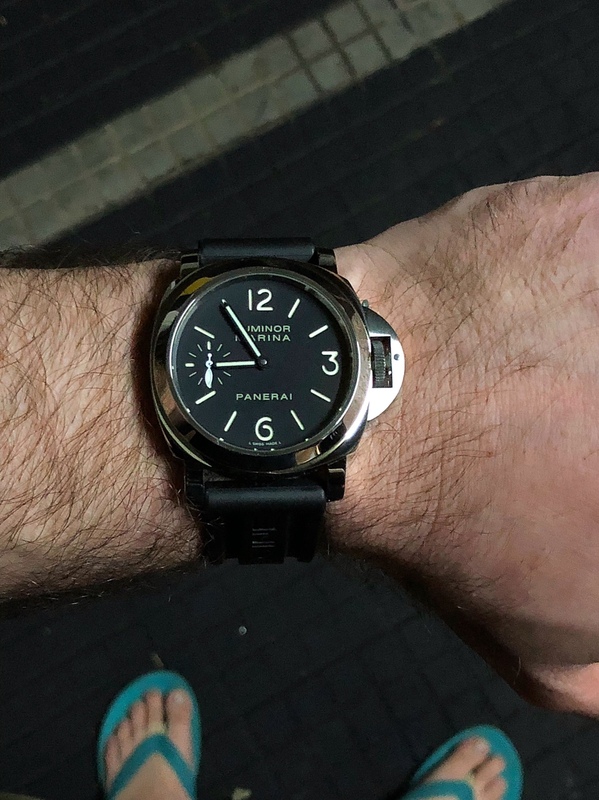 I never heard anyone complain about cheap crystal on Noob PAM11 before. 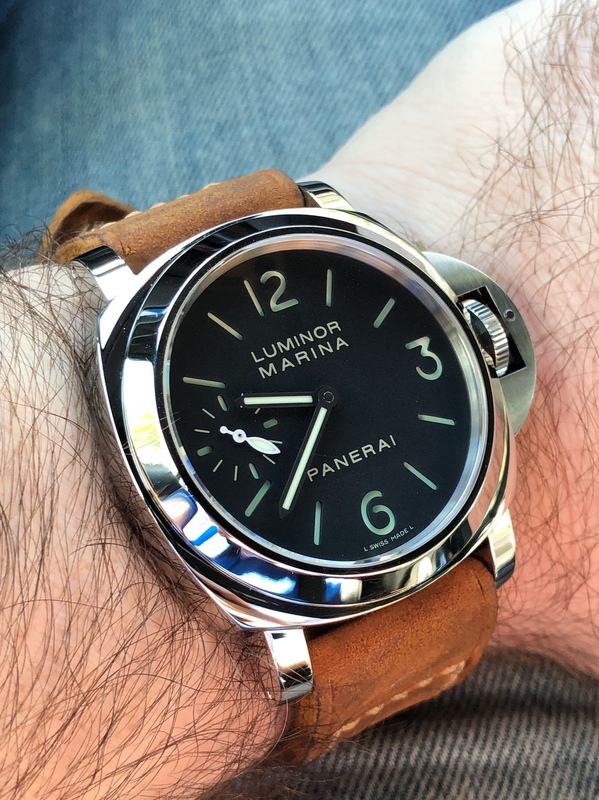 I do have a PAM111 V4 and my crystal looks great. You can always send your crystal out for 2xAR done. Prof Steve and DSXtals do them. perhaps we need a photo? Seems imgur lowers the quality a little, but you can see no matter what the angle, the dial is never clear. See now that is looking good! Who did your crystal? I suggest you go and try some genuine PAMs on and then compare, genuine PAMs don’t have great AR, too hard to tell from the pictures you have taken due to angle of shot to angle of light of the shot but if it’s a noob their 111’s are known for being top notch reps, even one of the best there is straight out of the box. Mine looks fantastic. At certain angles and lighting there'll be lots of reflections and at some there'll be none. The 111 is a fantastic piece. That's how my v4 looks. It is the least impressive crystal in my collection. When you lay all your watches in front of a computer monitor at night in a dark room, it is very easy to compare reflections since you will have a single light source shining on them. The 111 always looks a little cloudy to my eyes and has a lot of reflection like in your picture. You just can't help ... an idiot. All times are GMT. This page was generated at 00:27.